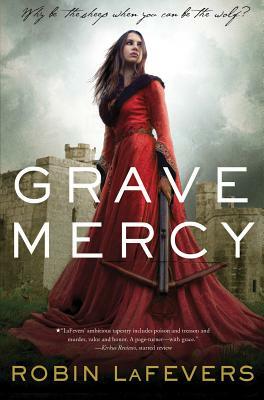 Today, Bookanista Stasia Ward Kehoe is raving about GRAVE MERCY. Part of her review: "Here is an instance where the girl-in-the-red-dress cover totally works. It is arresting and, for me, captures the spirit of the novel. LaFevers joins Katherine Longshore on my list of "authors who are persuading me that historical fiction totally rocks"!" Grave Mercy was an EXCELLENT READ with never a dull moment. Characters were well portrayed and keeps you on the edge of your seat wanting more. Robin LaFevers gets 5 stars for this absolutely well written book. Can't wait to begin reading book ll!